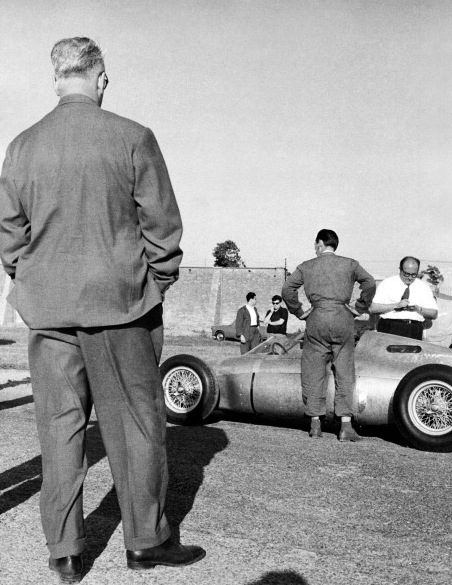 The cars designer, Carlo Chiti looks on. 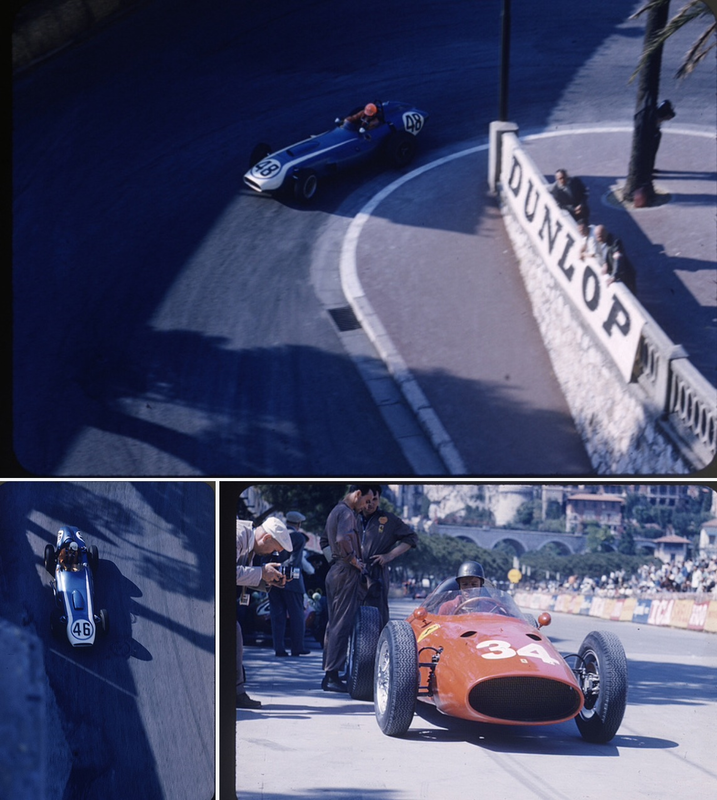 Click on the link below to my article, i have converted a 100 word ‘quickie’ on a vista of Monaco in 1960 into a feature on a significant Ferrari thanks to a tangent introduced by reader Grant Perkins for reasons which are clear in the text. 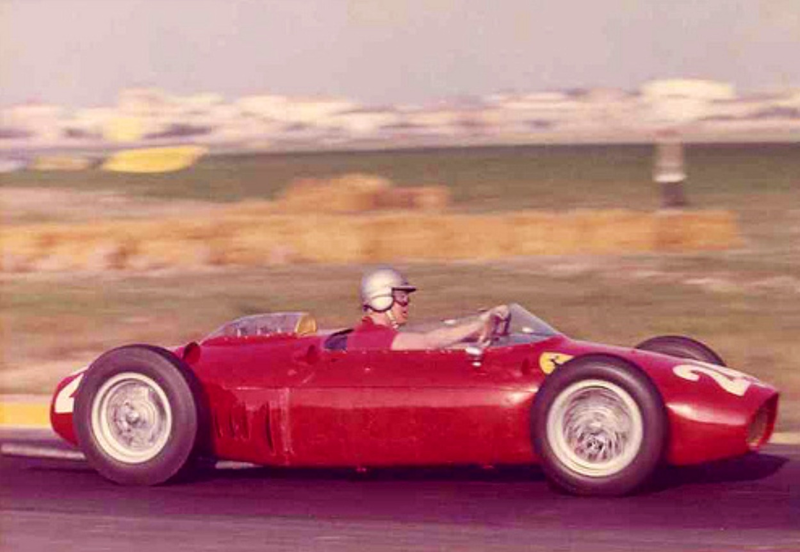 This car, Ferrari Dino 246P/156 ‘0008’ is the Scuderia’s first mid-engined car. I was trawling the internet, as i do, looking for the photos which inspire the articles i create, one of the reasons why this blog is so nuttily diverse is to do with that approach. 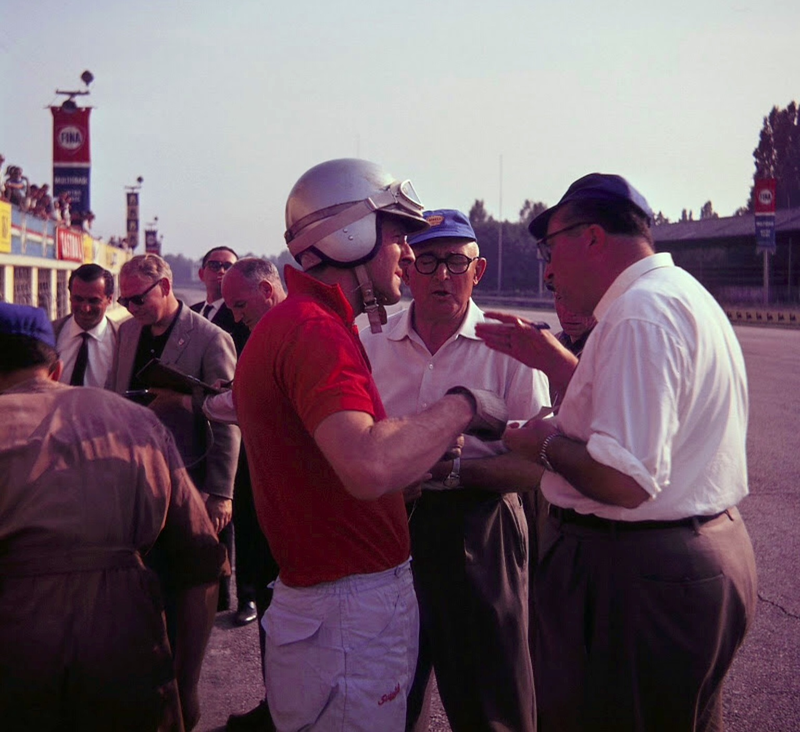 I found this shot, unattributed as most of them are, but saying ‘Monaco 1966’ which it most definitely is not! 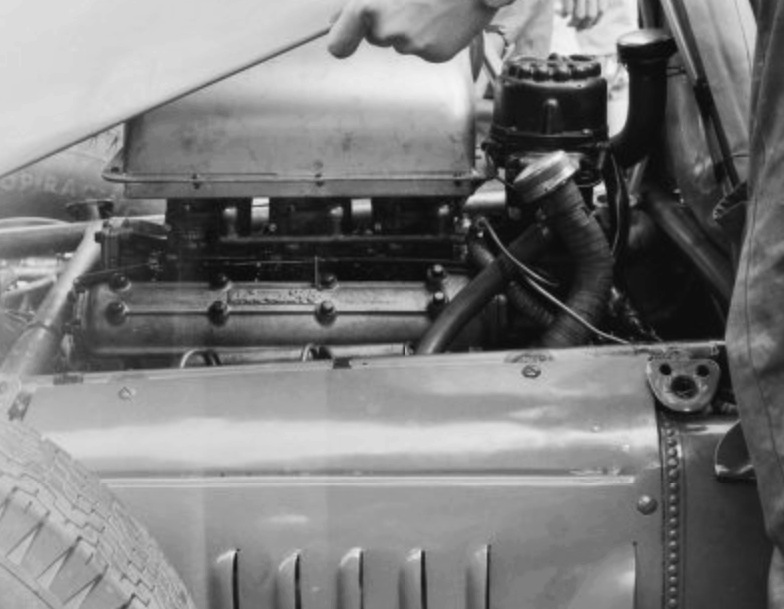 Its one of those ‘the more you look, the more you see shots’; the steam train, four nurses sitting together, the working port, none of your fancy-schmancy big yachts of today and of course the car itself! 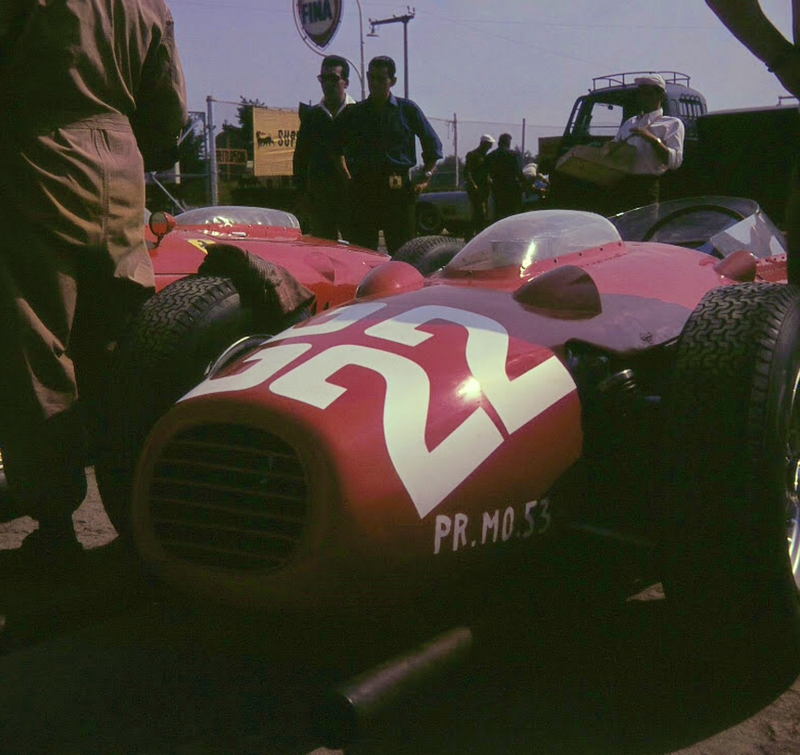 Thats the tricky bit; its not sharp in focus but i think it might, might be Luigi Musso’s #34 Ferrari Dino 246 in the ’58 race. 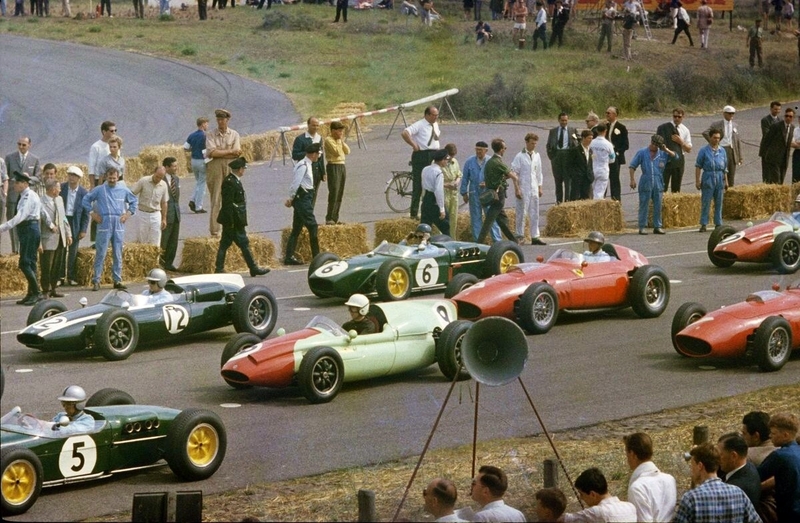 Stirling Moss won the race in Rob Walker’s Lotus 18 Climax, Chapman’s first championship win as a manufacturer, from Bruce McLaren’s Cooper T53 Climax and Phil Hill’s Ferrari Dino 246. 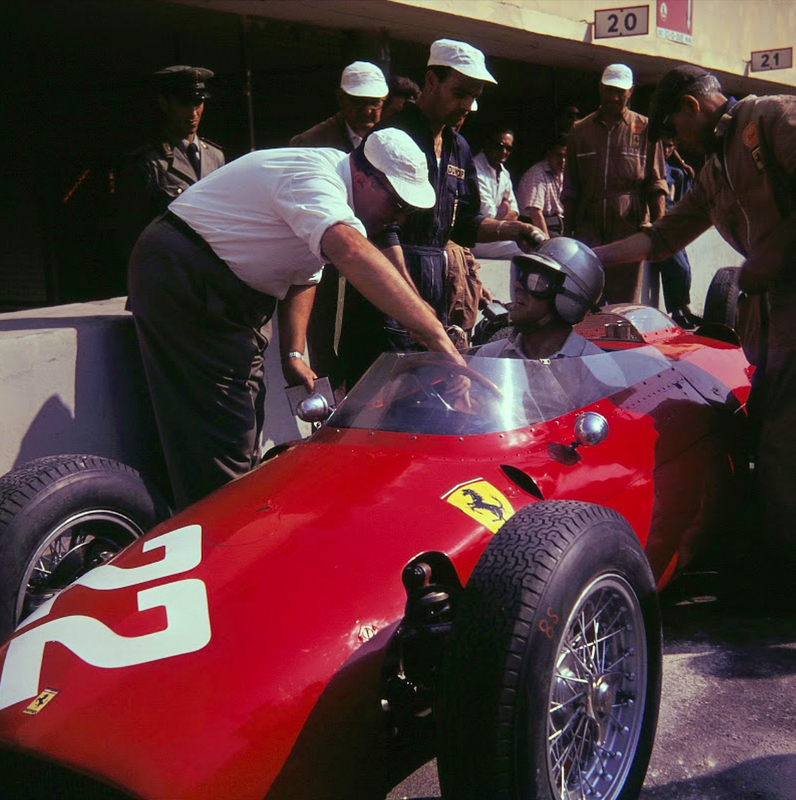 The shot is historically significant as Ginther made his GP debut that weekend and his mount, the Ferrari 246P, the Scuderia’s first mid-engined racing car, competed for the first time. 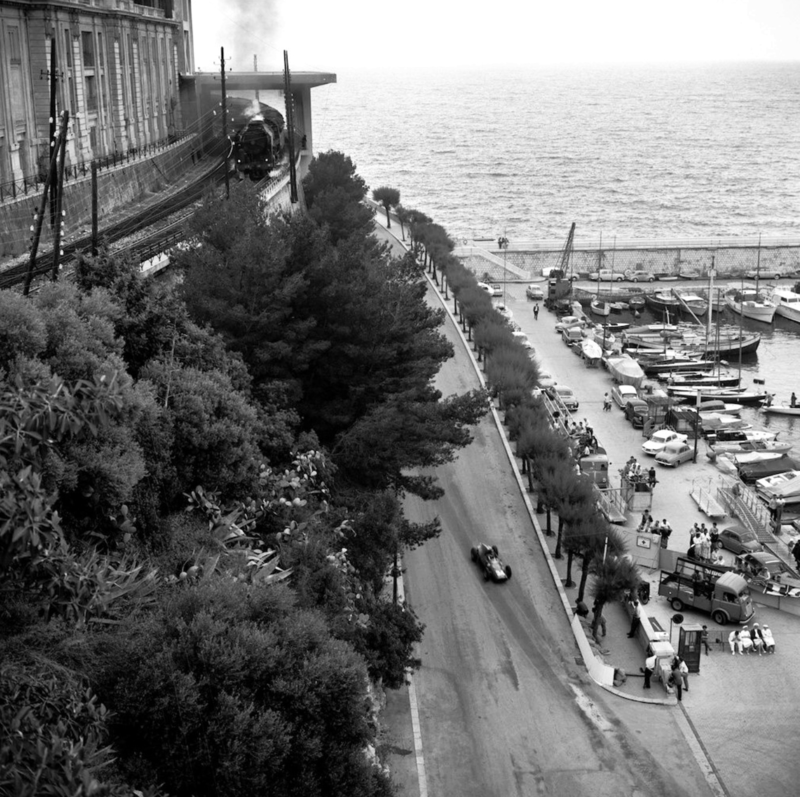 Monaco 1960 is also significant for the long awaited but far too late appearance of Lance Reventlow’s Scarabs. 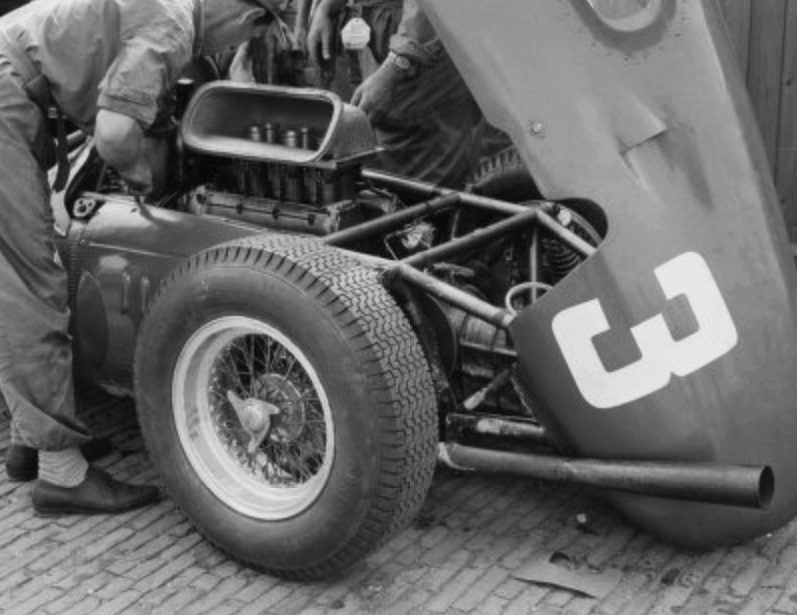 These superbly engineered but heavy, unwieldy front engined cars entered GP racing just as Ferrari, the last team racing a front-engined car experimented with its mid-engined replacement. A tangent too far for this article but an interesting topic for another time. 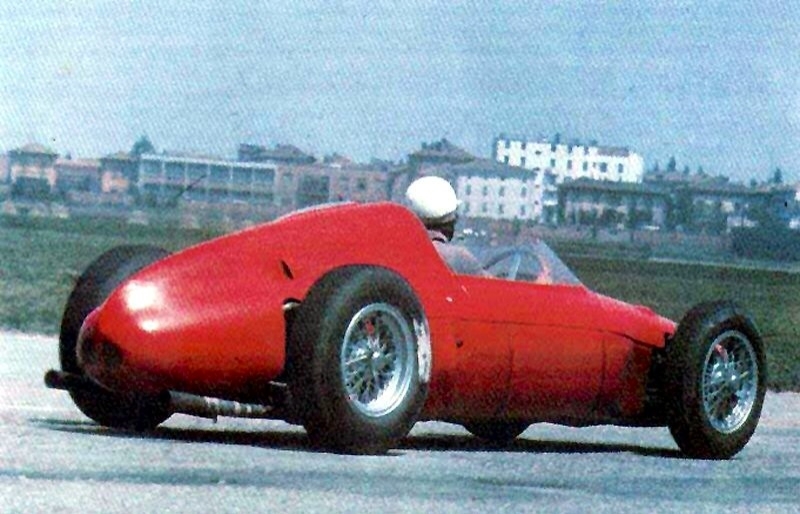 Ferrari built the 246P in secret, it was tested at Modena by Hill, Ginther and factory tester Martino Severi on 22 May, the design perceived by its drivers to have too much weight at the rear causing the nose to lift under acceleration. 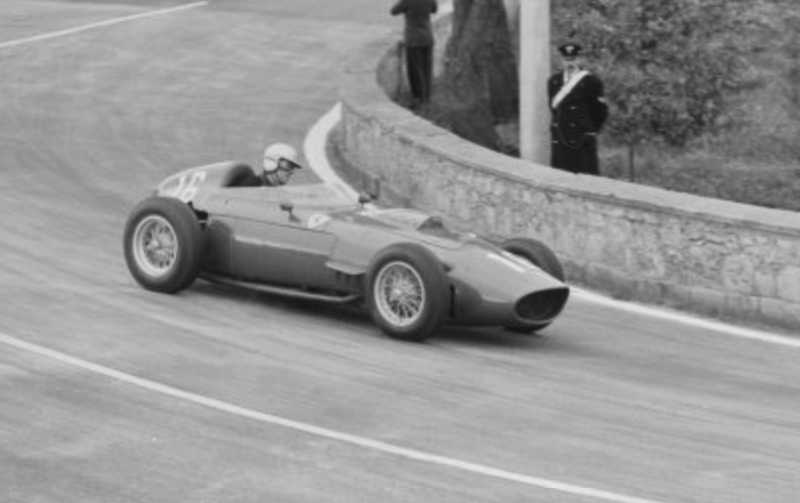 Despite the fact that a Cooper won their first Grand Prix in Argentina in 1958, in Moss’ hands and Jack Brabham’s Cooper win in the 1959 World Championship was the first for a mid-engined car and further that Ferrari’s front engined Dino’s were struggling to keep up, Carlo Chiti had to fight hard to build a mid-engined prototype. 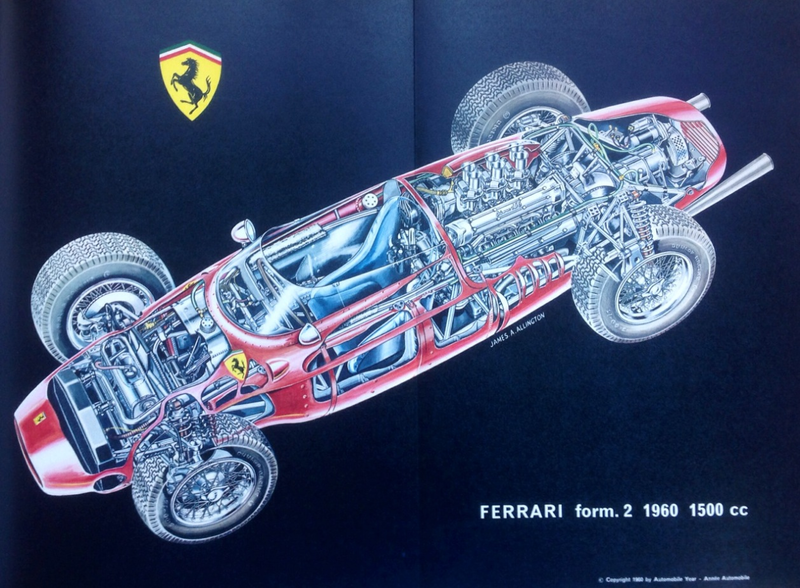 Ferrari’s conservatism was proven time and again over the years, they were not often innovators or early adopters, some examples; the change from drum to disc brakes, wire wheels to alloys, carburettors to fuel injection, ladder frame to spaceframe chassis, spaceframe chassis to monocoque and so on. Fortunately the car, allocated chassis number ‘246-0008’, showed enough promise to race at Monaco on 29 May. 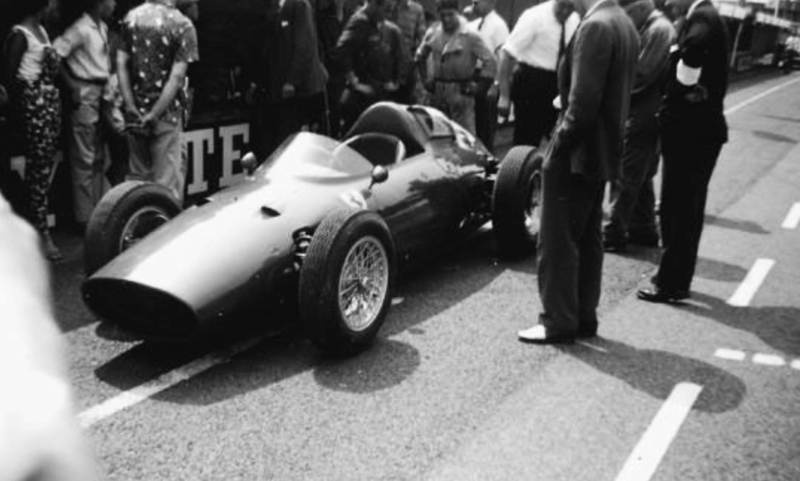 By the end of the year ‘0008’ had morphed from a prototype 2.5 litre F1 car into a 1960 1.5 litre F2 ‘156’, becoming an F1 156 with the GP rule change from 2.5 to 1.5 litre engines from 1 January 1961. 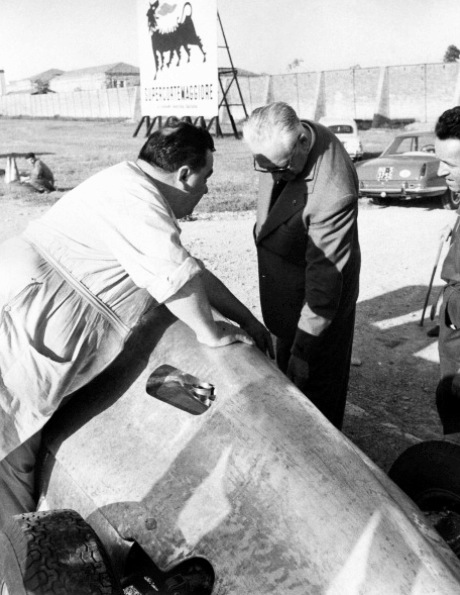 ‘008’ became Giancarlo Baghetti’s race chassis for 1961 and part of the amazing start to his F1 career; the Italian famously winning his first 3 GP’s; Syracuse, Naples and finally the French GP, in so doing Giancarlo became the only man to ever win his first championship GP. 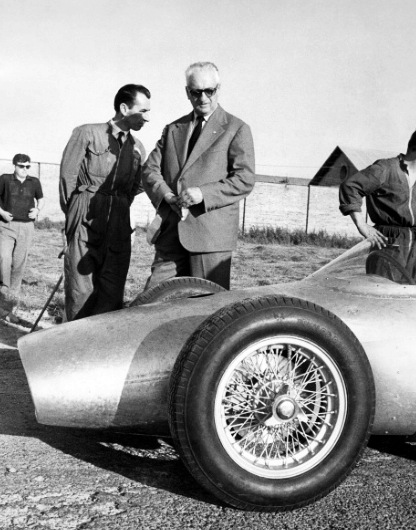 So ‘0008’ won the first of many GP’s the 156 design took in 1961 on its way to dual World Titles; the Drivers and Manufacturers in 1961. 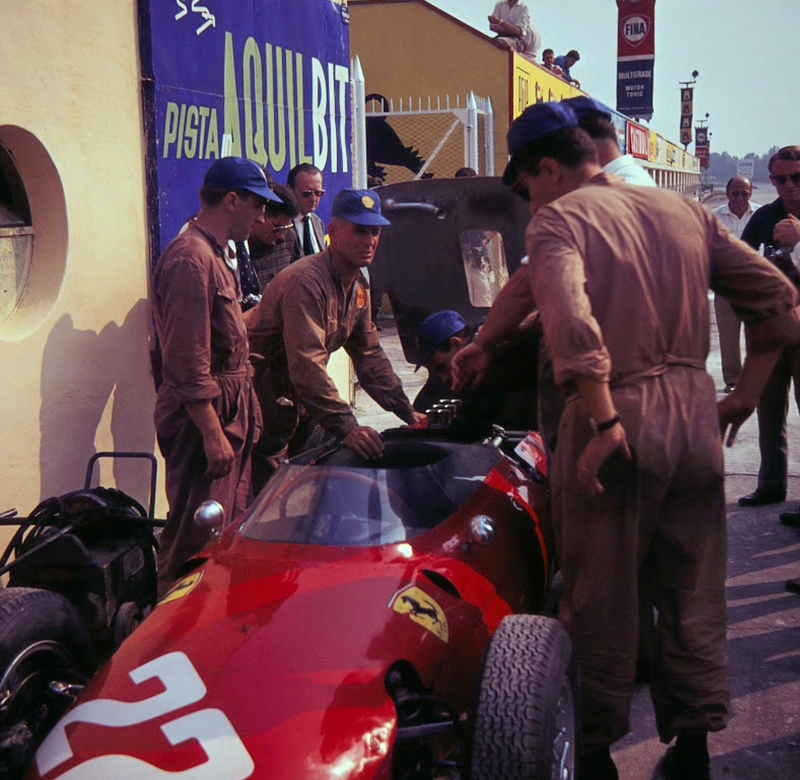 Their isn’t a happy ending for the chassis though, Giancarlo spun out of the wet British GP at Aintree a week after his Reims win doing enough damage to ‘0008’ that it was scrapped…mind you, Ferrari famously destroyed all of the 156’s at the end of the 1962 season when the cars were as uncompetitive as they had been fast the year before. 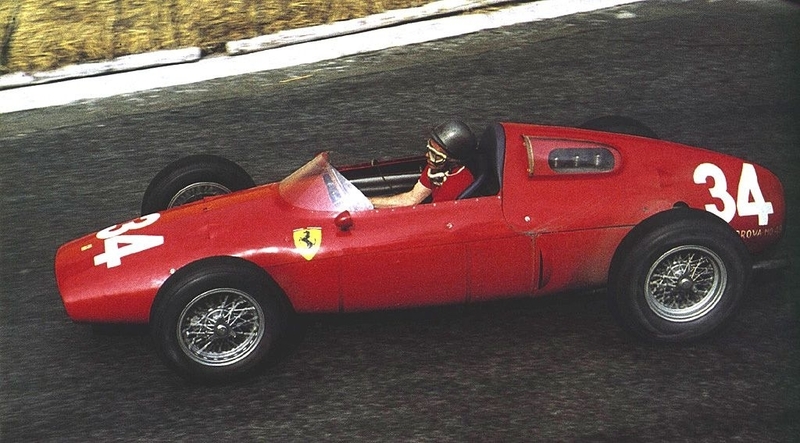 From mid-engined 2.5 litre F1 prototype at Monaco on May 6 1960 to 1.5 litre F1 winner at Syracusa on 25 April 1961, ‘0008’s story is a short but historically significant and interesting one. Ginther qualified the new car 9th, between the front engined Dino’s of Von Trips 8th and Phil Hill 10th. In the race Hill was 3rd, Richie 6th and Von Trips 8th but not running at the finish. 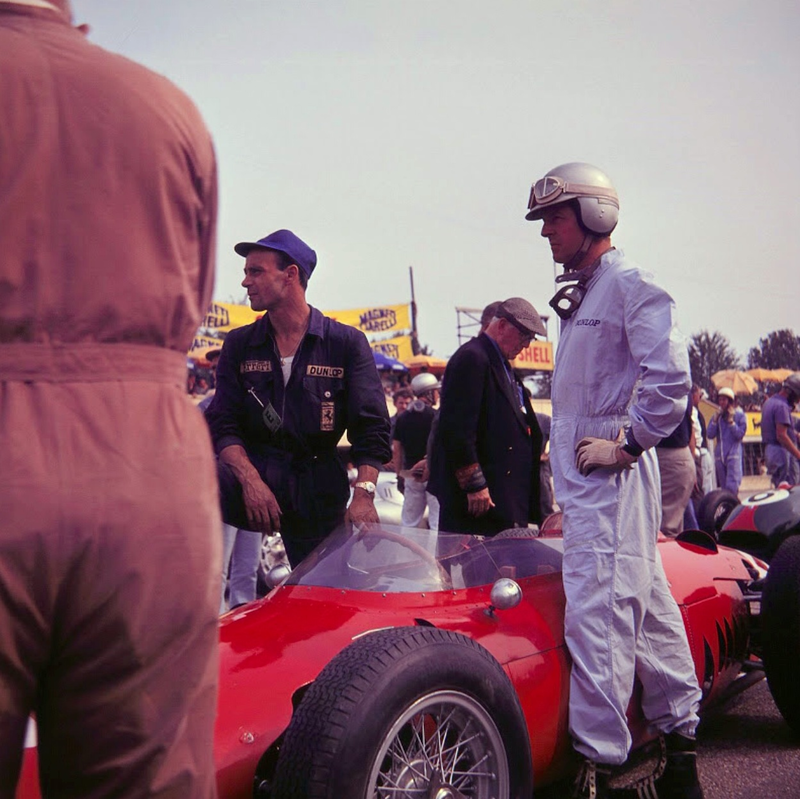 Ginther raced a conventional front engined Dino as did his teammates, they were comprehensively blown off by large numbers of Lotus and Coopers, Ginther in 12th was the quickest Ferrari qualifier; Von Trips was 5th, Ginther 6th and Phil Hill retired with engine failure on lap 13. 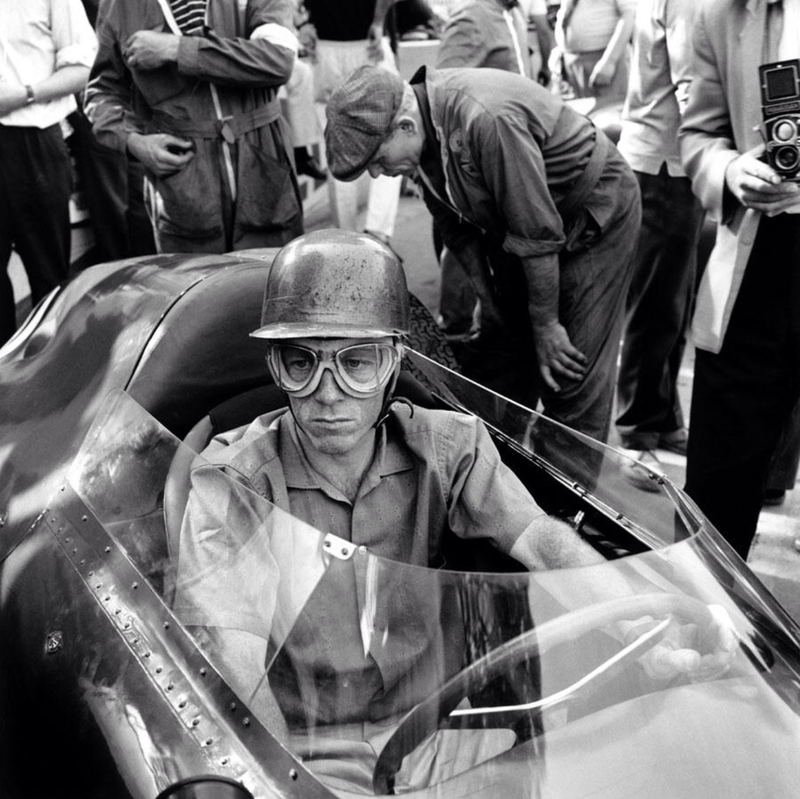 The race was won by Jack Brabham’s Cooper T53 Climax on the way to his second title on the trot. 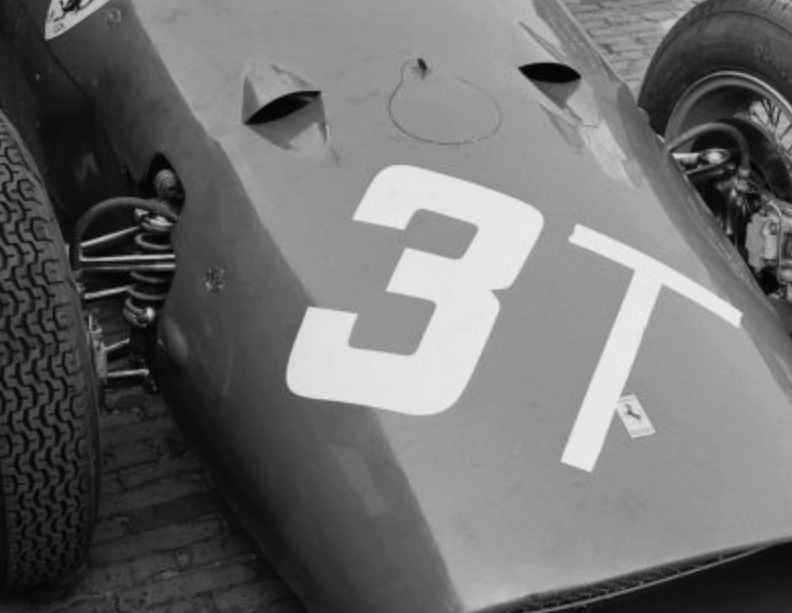 Whilst ‘0008’ car didn’t race at Zandvoort, photographer George Phillips took some rare shots of a Ferrari too little has been written about, the car practiced with the number ‘3T’. 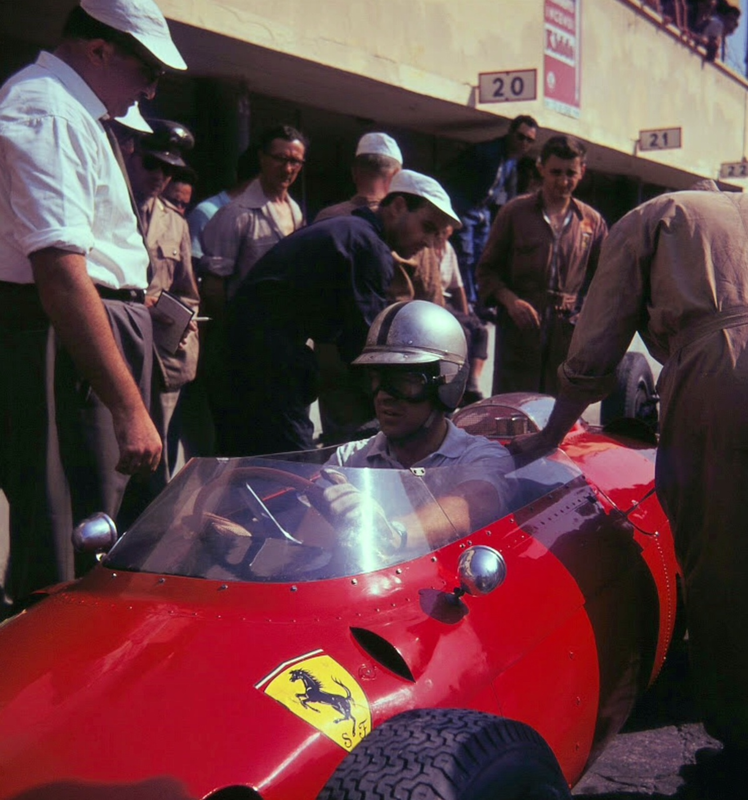 Ferrari decided to abandon further development of the 246P as a 2.5 litre GP car and focus their attention on the front-engined Dino’s for the balance of the season and the future 1.5 Litre GP car for the new Formula 1. 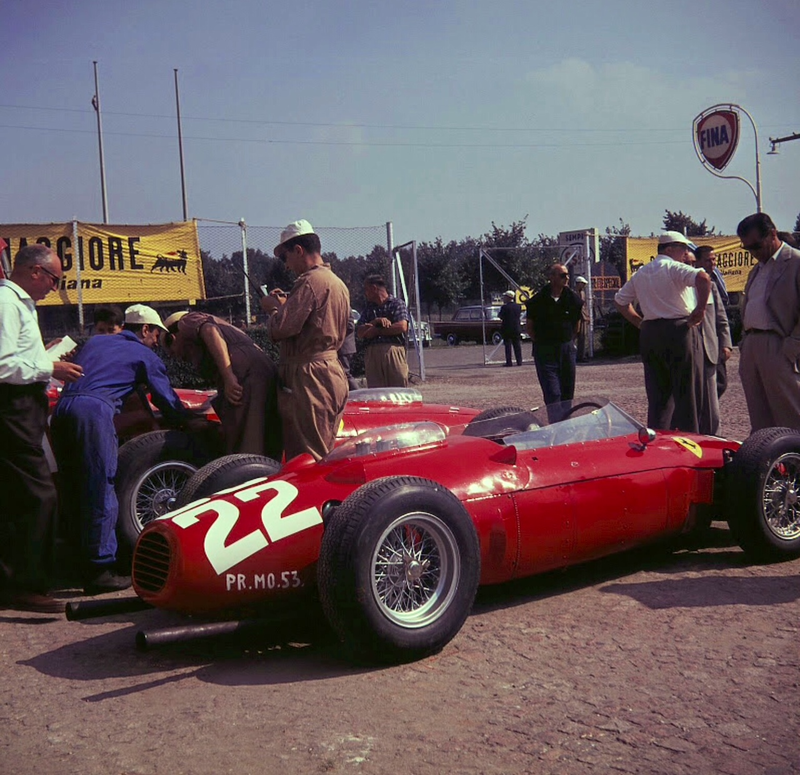 The basis of the new 1.5 litre F1 engine was the Vittorio Jano designed 1.5 litre ‘Dino V6’ already used in Ferrari’s front engined F2 car’s which first raced in 1957. 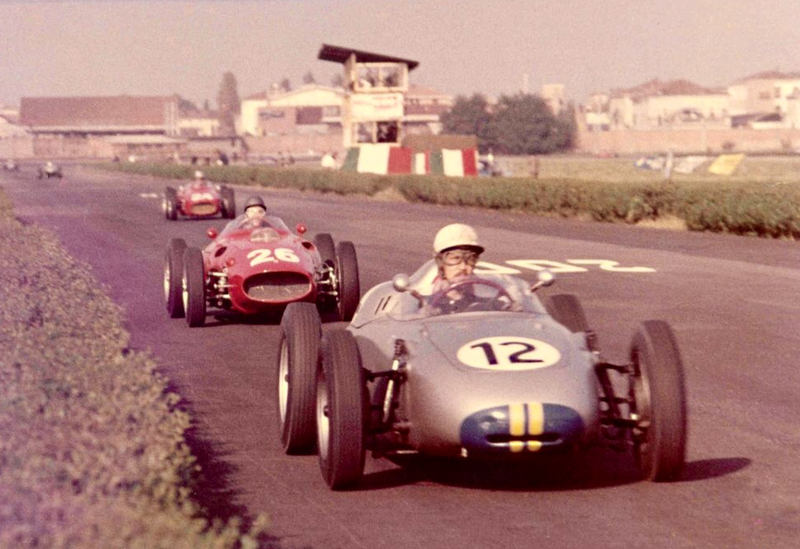 Von Trips won the 1960 F2 season opening Syracuse GP in March 1960 in one of these cars, ahead of 2 Coopers. Chiti progressively modified the engine, initially retaining the 65 degree angle but then changed to 120 degrees, the wide Vee angle has the benefit of the very low centre of gravity and rear bodywork which was as much a styling signature of the 1961 156 as its ‘sharknose’. 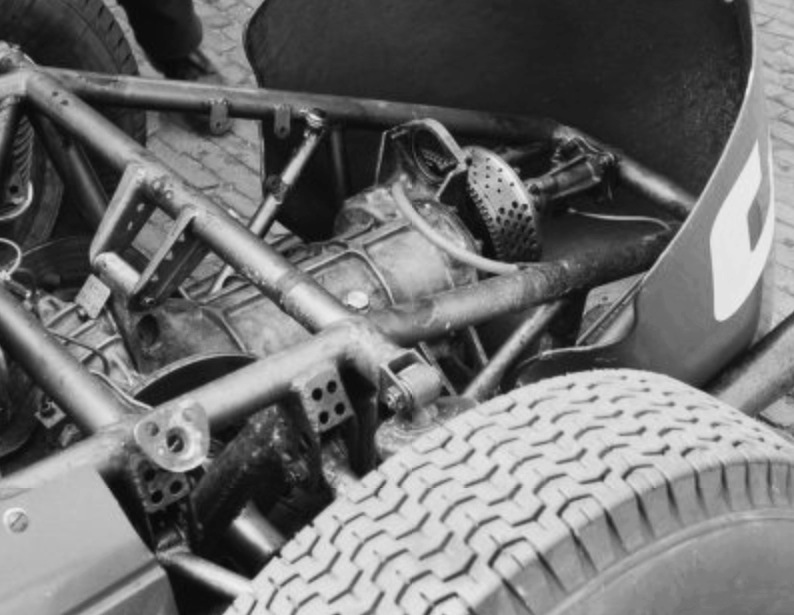 ‘Definitive’ spec 1961 156’s raced with the 120 degree engine, but the 65 degree was also used. ‘0008’ was always fitted with the 65 degree spec unit. The test bed for the new engine was the 246P ‘0008’. 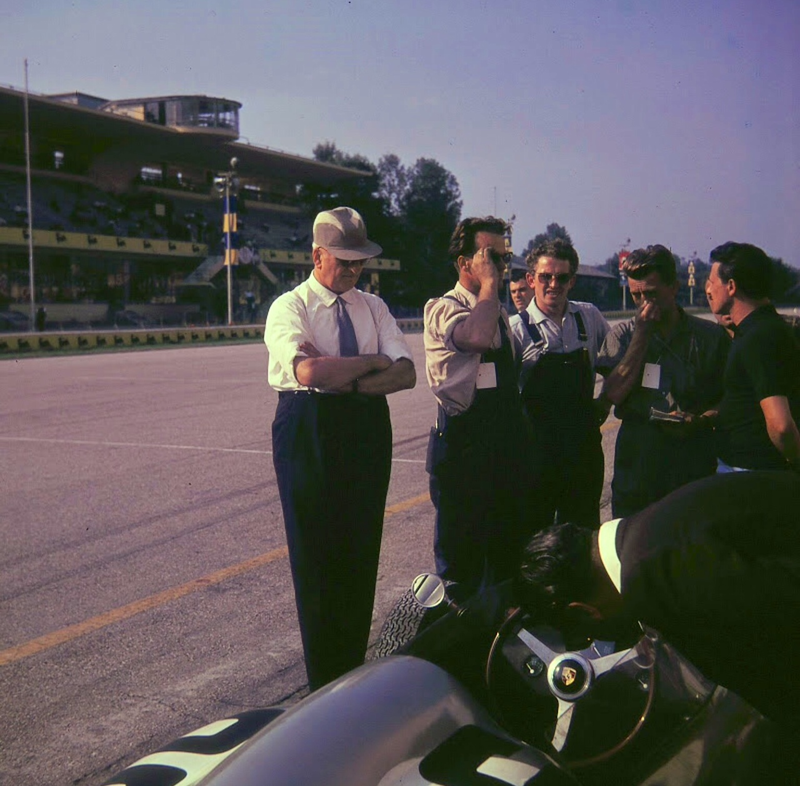 After the car with revised bodywork and 1.5 litre V6 was fitted it was tested at Modena and then entered at the 10th Solitude F2 GP, Germany on 24 July where Taffy von Trips belted the Porsche 718/2’s, a great F2 car on their home ground, the aristocrat lead home Hans Hermann, Jo Bonnier, Graham Hill and Dan Gurney, all in factory Porsche’s. Further testing and development of ‘0008’ followed. 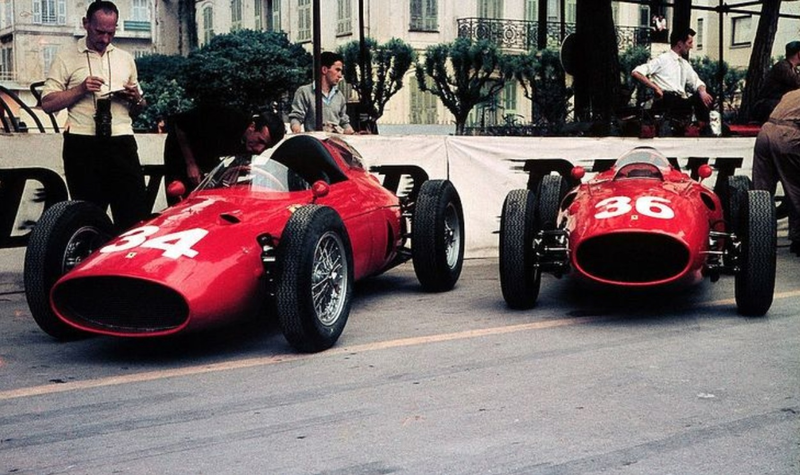 With many of the British teams punting on the Intercontinental Formula for 1961, Ferrari were developing a formidable weapon for the new 1.5 F1, the implementation of which was confirmed much to the Brits chagrin as they wouldn’t have competititive engines until 1962. 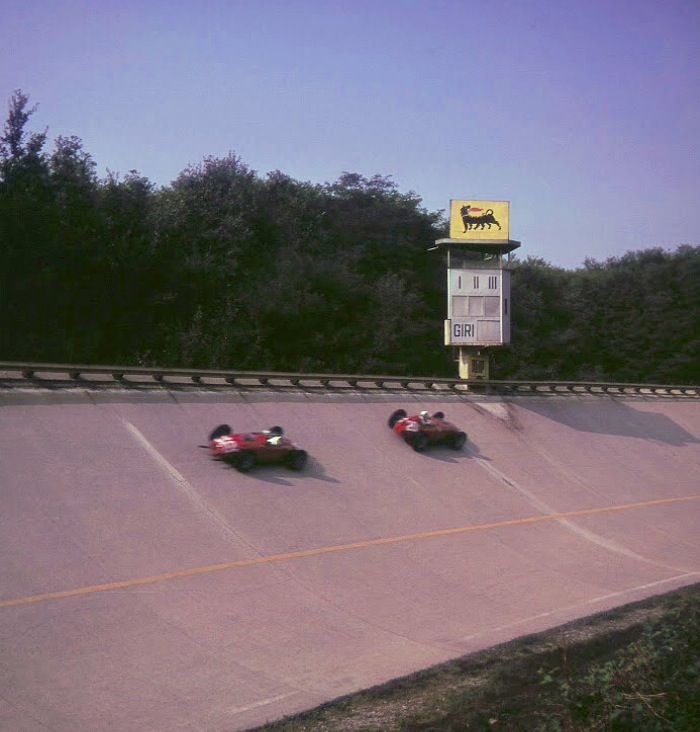 At the Italian Grand Prix at Monza in September Ferrari raced ‘0008’ in what was getting close to the 156’s definitive 1961 specification,‘0008’ in 1.5 litre F2 form was raced by Taffy Von Trips to 5th place fitted with an auxiliary fuel tank amongst the 2.5 litre GP cars. 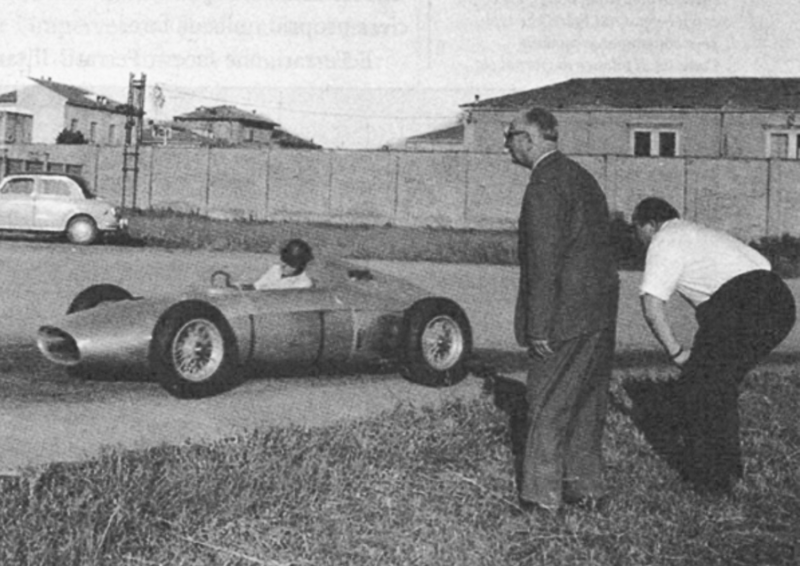 von Trips had the 1.5 ltre F2 class to himself outrunning Hermann’s Porsche 718/2 by a full lap. 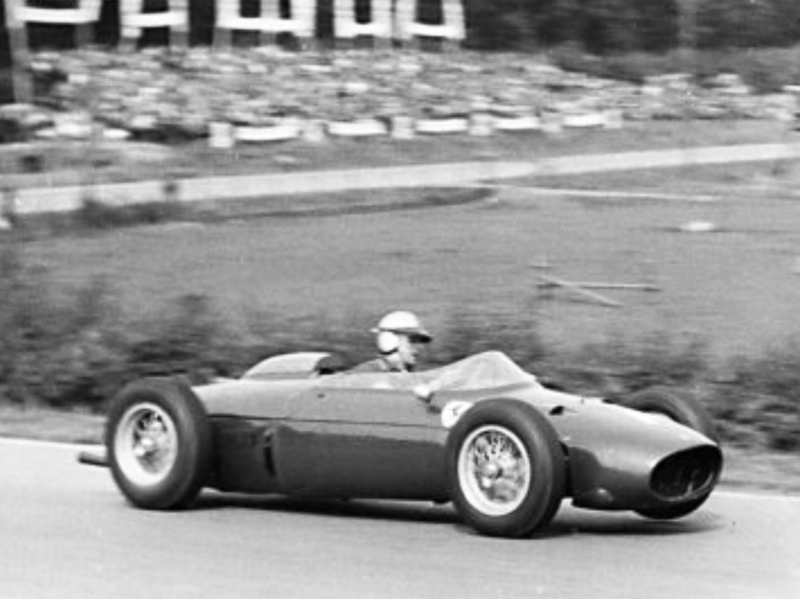 Phil Hill won the race, the final GP victory for a front engined car but it was a hollow one; the sneaky Italians decided to have their 1960 race on the combined Monza road course and banking to maximise the chances of the old-tech Fazz’s winning the race, power the Ferrari’s only advantage over the 4 cylinder Coventry Climax FPF and BRM engined cars. The Brits then told the organisers to ‘jam it’ on safety grounds and most boycotted the event. 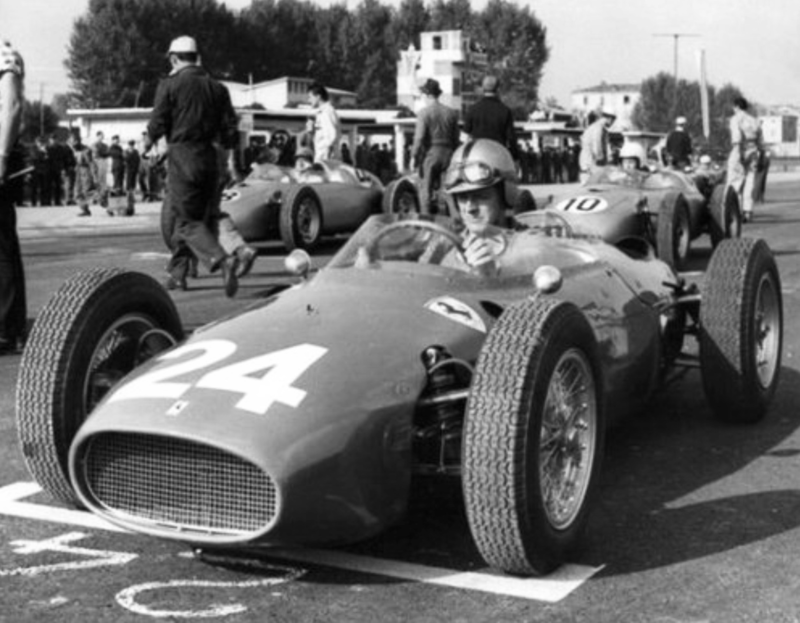 The final race appearance for the ‘0008’ in 1960 was Ferrari’s home event at Modena on 2 October. In the same way that Ferrari beat the Porsche’s at Solitude in July so it was that Jo Bonnier’s Porsche beat Richie Ginther in the front-engined 156 from Taffy von Trips in the new 246P/156 suffering from fading brakes. 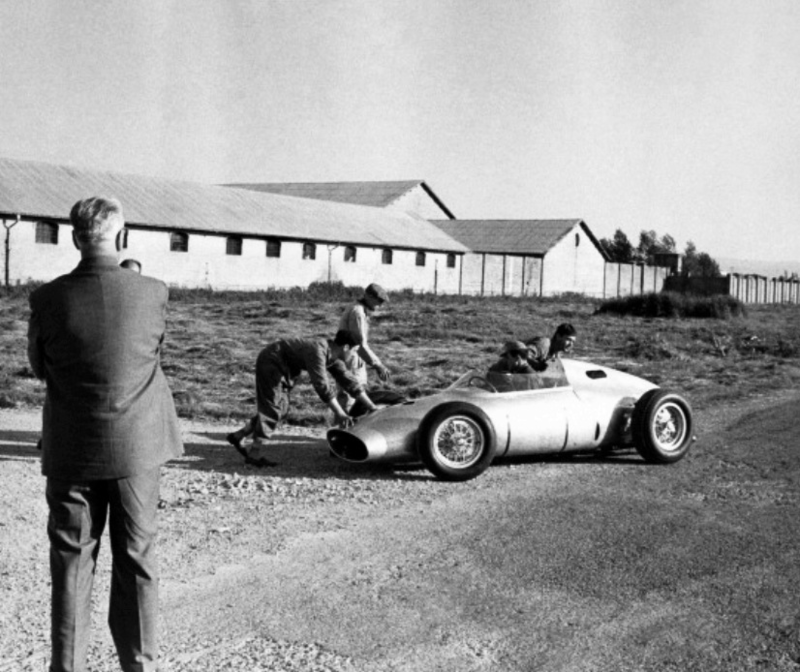 Hans Hermann was 4th and Edgar Barth 5th, both also driving 718/2 Porsche’s. 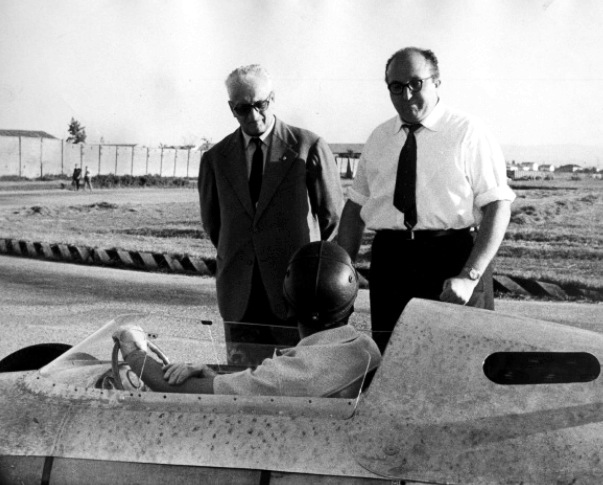 Here are a series of photos from the Getty Archives of the first test day at Modena in May 1960. 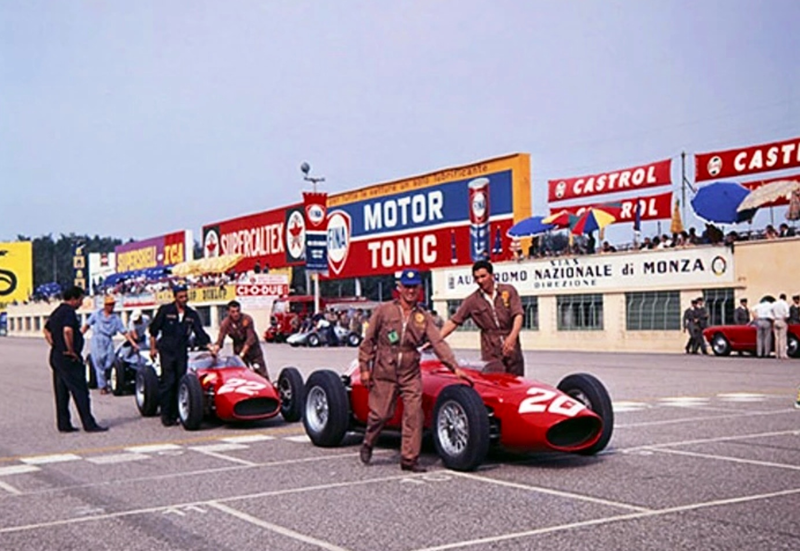 Ferrari is present as is Carlo Chiti, the driver in all of these shots is factory test driver Martino Severi. Car is unpainted, perhaps Ginther not present on day #1.